Apple is providing earlier iPhone X delivery dates to iPhone Upgrade Program members who experienced an apparent loan processing issue that in some cases nullified original orders, prompting customers to reorder the device but with later ship-by times. 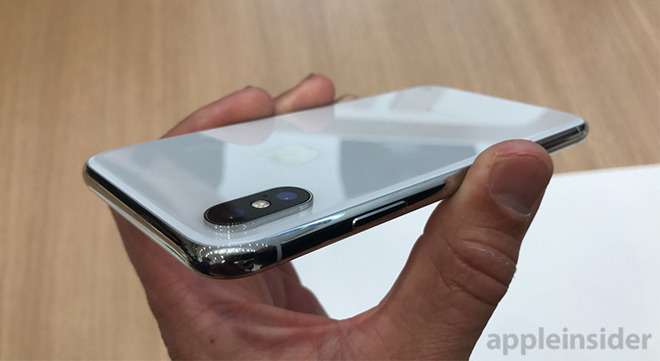 When the iPhone X went up for sale on Friday, some iPhone Upgrade Program members were denied an early preorder due to an apparent hiccup in the loan application process handled by Apple financial partner Citizens One. Late Saturday and early Sunday, customers affected by the financing issue saw their iPhone X delivery dates upgraded to November, or in some cases revert back to an initial promised date. The move suggests Apple is rerouting launch day supply, perhaps from a stockpile slated to reach retail stores on Nov. 3. On Friday, an unknown number of early buyers used Apple's upgrade service to place iPhone X preorders only to be met with a message saying the loan application process was taking longer than expected. Apple instructed customers to wait for a verification notification, which in certain cases resulted in a denial letter received hours later. As such, original orders with early November ship-by dates were nullified, prompting some to reorder on Saturday. As iPhone X supply is in high demand, those second orders came with delivery dates pushed out to December. It appears Apple is now attempting to correct the situation. Emails sent out to those affected by the loan processing snafu on Friday noted the problem and instructed members to provide their original iPhone X order number in a reply. Customers who supplied their information were directed to follow up on their order through Apple's Online Order Status webpage in three business days. As of Sunday, a number of iPhone Upgrade Program subscribers are reporting upgraded delivery estimates, many of which reinstate shipping dates promised prior to the Citizens One snafu. Apple kicked off iPhone X preorders on Friday to expectedly high demand, with launch day supply depleted within ten minutes. Shipping estimates subsequently slipped to 2 to 3 weeks, then 4 to 5 weeks until it hit the current 5 to 6 week wait time. The first iPhone X units are scheduled to ship out to preorder customers on Nov. 3, with limited supply arriving that same day in the company's brick-and-mortar stores.